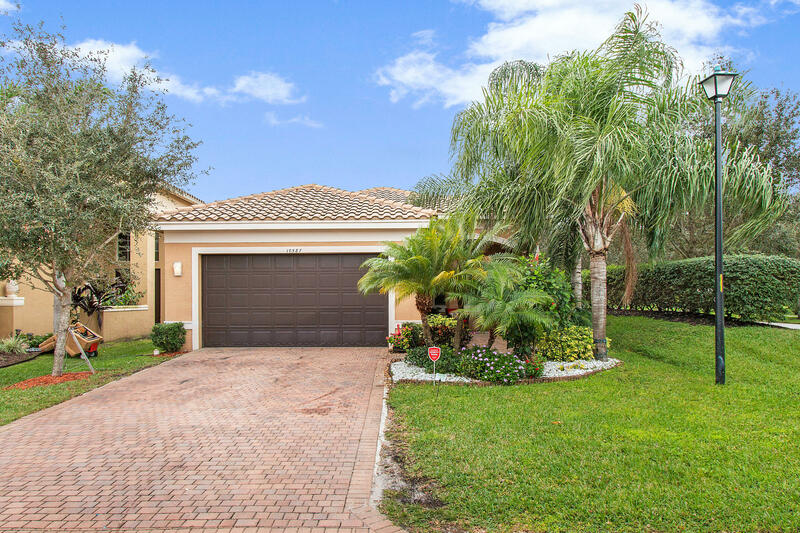 Fantastic Tobago model situated on oversized corner lot located within the exclusive gated community of Canyon Trails in Boynton Beach. This beautiful home boasts a designer upgraded kitchen featuring granite counter tops, 42 inch raised wood cabinetry, mosaic glass backsplash and stainless steel appliances. Other unique home features include trey ceilings, high hat recessed lighting, custom light fixtures, volume ceilings, premium baseboards, artisan crafted tile laid on diagonal and wood look flooring in bedrooms. Spacious master suite showcases dual walk-in closets, en suite bathroom with double vanities, roman style tub and separate glass enclosed shower.